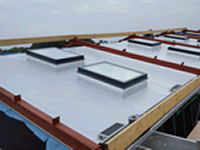 We have a vast amount of experience and knowledge in roofing and cladding. 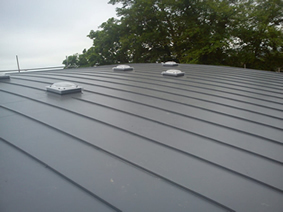 Our team specialises in roof sheeting, cladding, flat roofs, pvc membranes, epdm, liquid plastics, fibreglass, new build, repairs, roof light replacement, asbestos maintenance, refurbishment and removal, gutter replacement, repairs and maintenance, storm damage, emergency repairs and periodic maintenance contracts. We also arrange plant hire, netting and scaffolding. 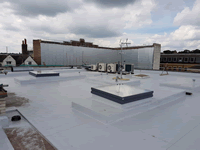 We have been working on industrial roofs for 20 years. Bespoke Fabrications & flashings to suit. 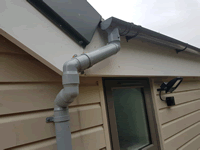 I have used Ibm ltd for all of the roofing and guttering maintenance at the two factories I have been responsible for the past 5 years . 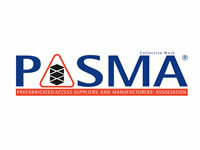 With being accountable for managing all aspects of working at height, contracting a vendor that can supply all of the required safe methods of work and supporting documentation is critical. 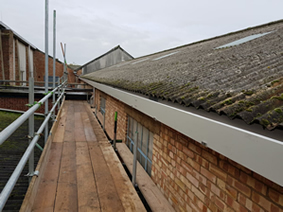 Dean and his team have always specifically worked in this way, applying these safe working practices in all aspects of roofing maintenance ranging from guttering clearances to roofing panel replacements, with the flexibility in working hours so not to impact factory operations and customer deliveries. Ibm ltd continually operates in such a way that every activity is completed safely, with high quality workmanship, right first time in cost effective solution. I would confidently recommend Ibm ltd without hesitation to any company requiring a dependable roofing contractor to support their business. 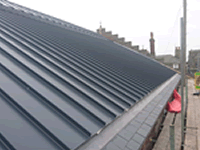 Industrial Building Maintenance have been the sole roofing contractor to Ardagh Norwich for more than 10 years. From gutter maintenance to roof repairs have always found the above to give a fast-professional service with quality results. 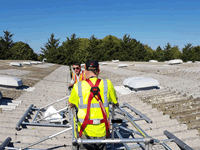 Providing innovative solutions to many challenging problems associated with our old in some areas pre-1940 roofs. Technically competent with a no-nonsense approach. 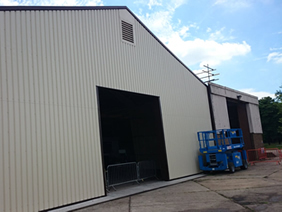 Highly recommend Industrial building Maintenance for all work described in company scope.